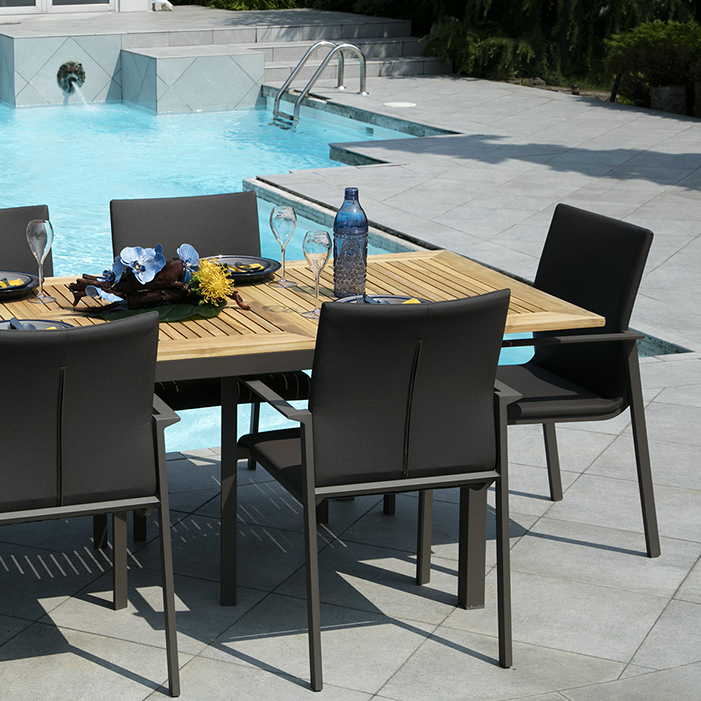 The Sienna collection blends contemporary sophistication and modern comfort in a seamless design. 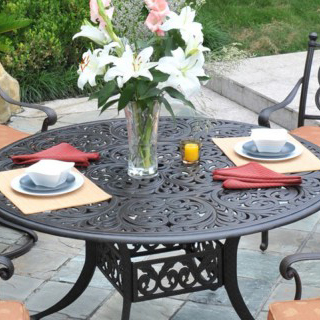 This cast aluminum collection provides the strength and durability required for years of worry free enjoyment, while the intricate design of each piece pays homage to classic handmade ironwork. 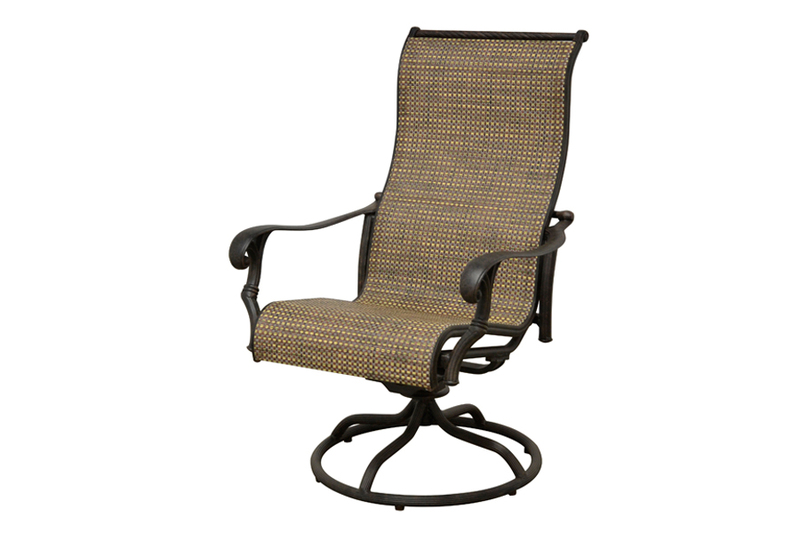 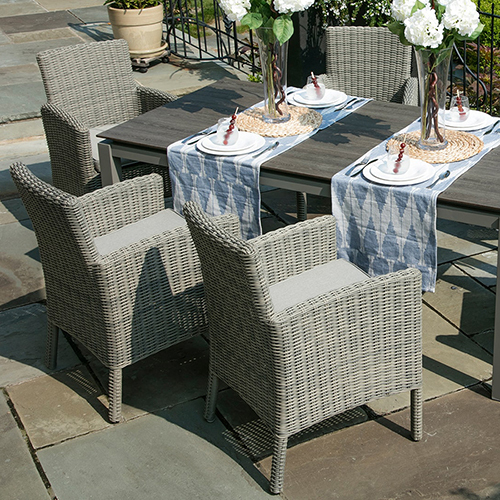 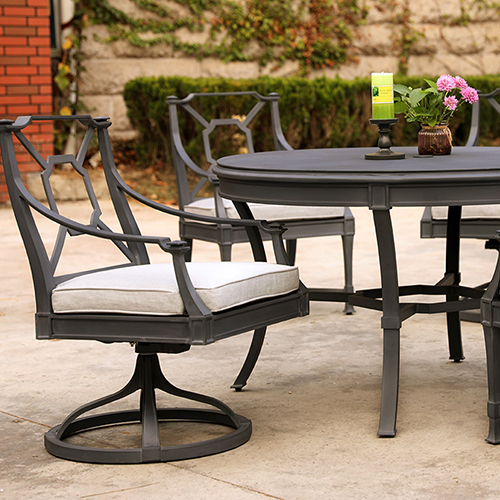 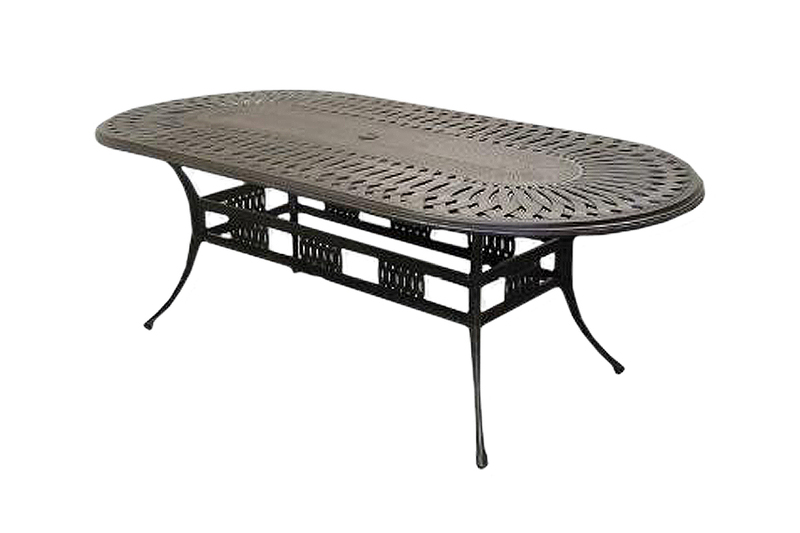 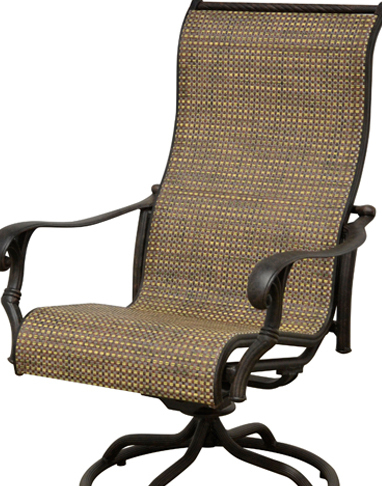 The sling style dining set weaves durable fabric and a cast aluminum seamlessly to create a breathtaking dining retreat. 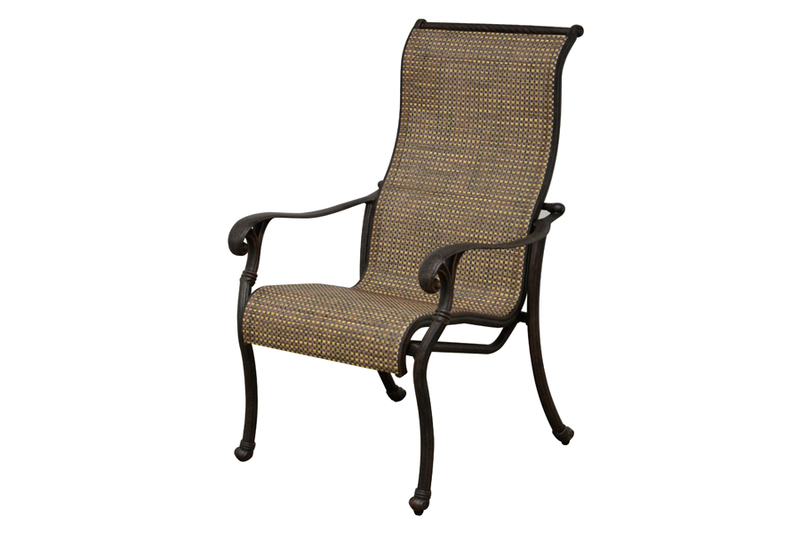 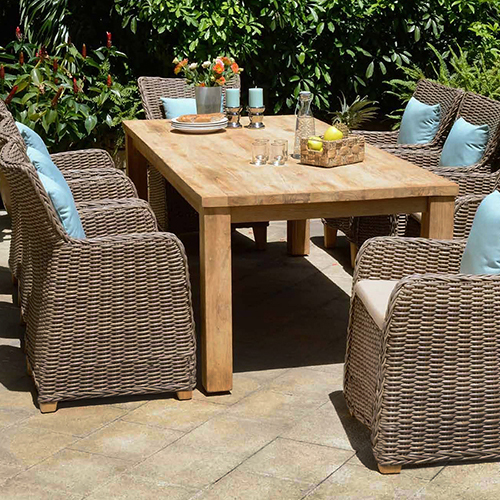 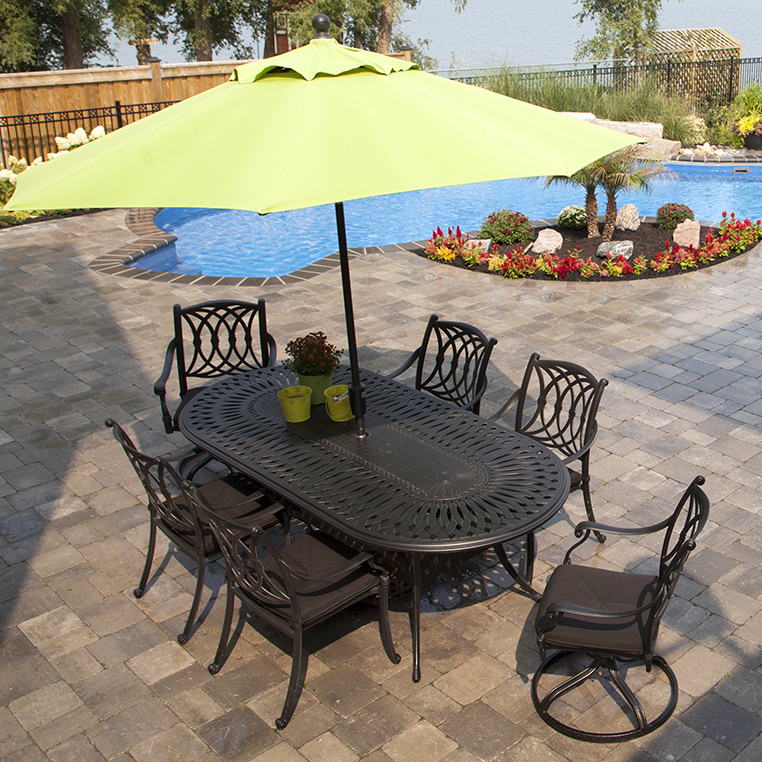 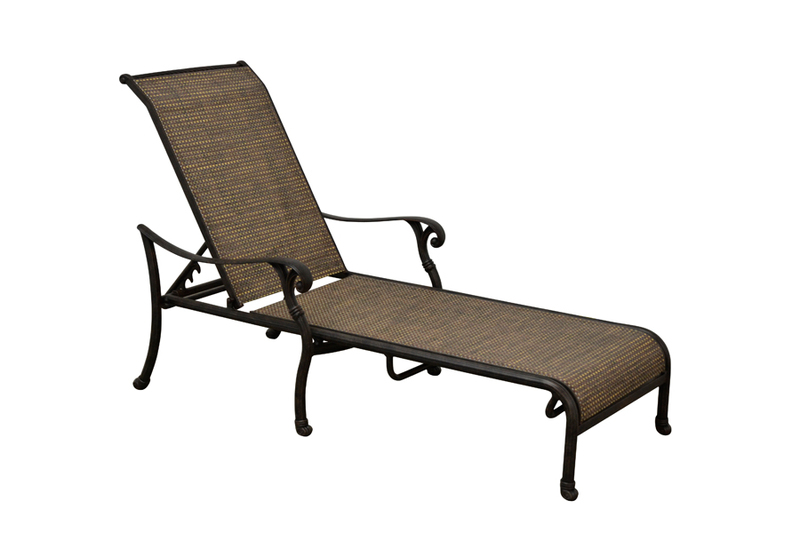 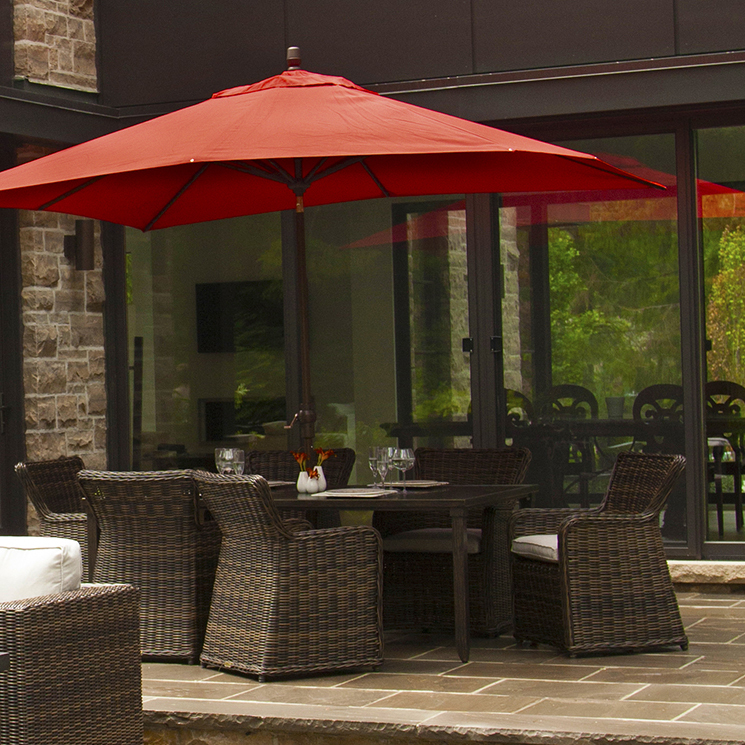 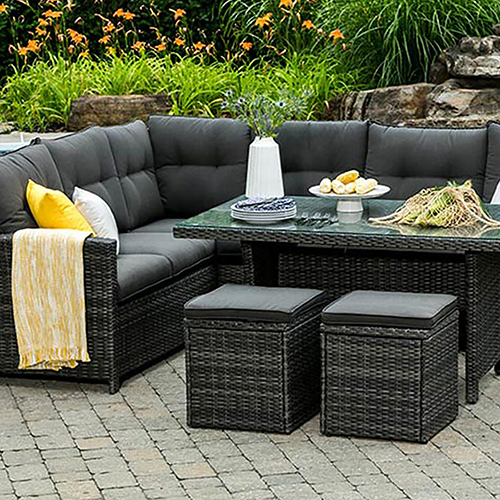 The elegant scrolled arms and flowing seat back designs combine to create a beautiful outdoor oasis. 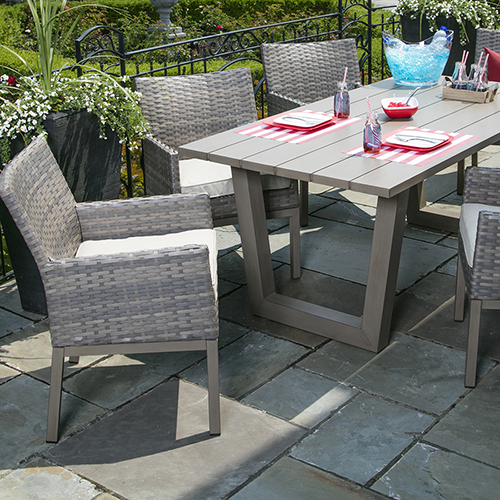 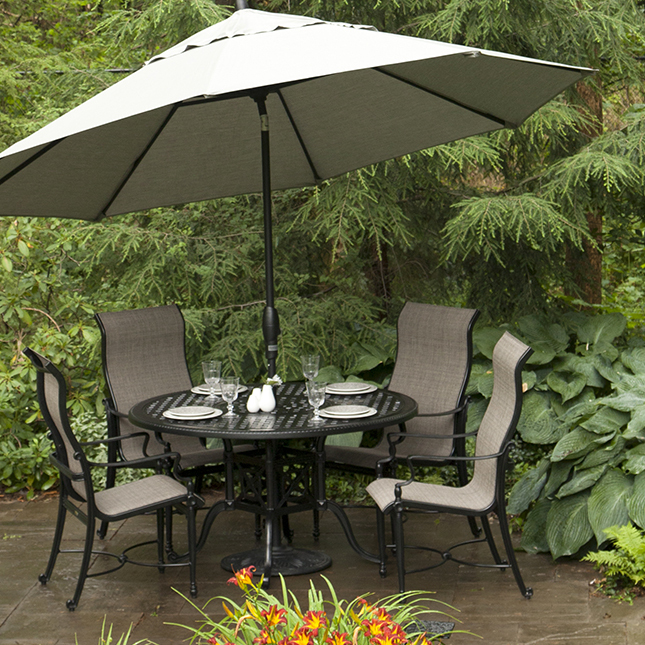 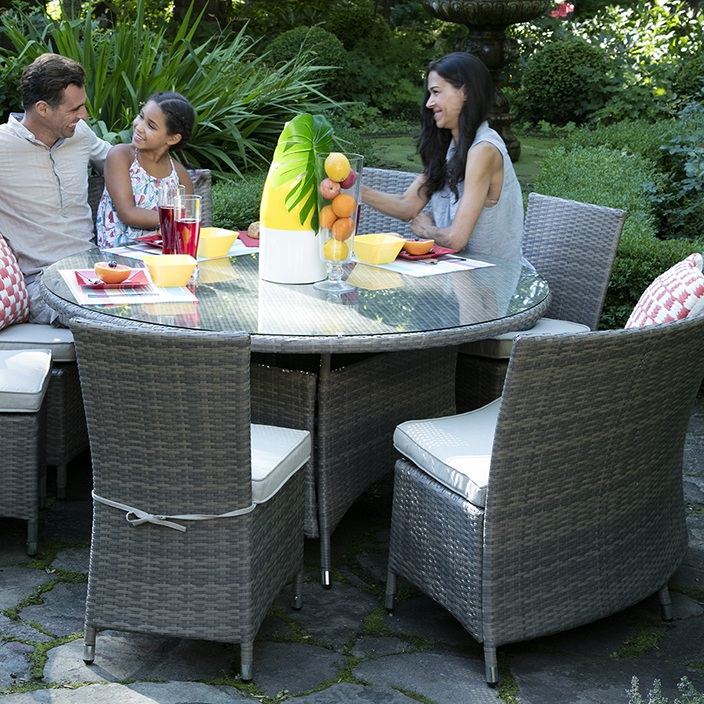 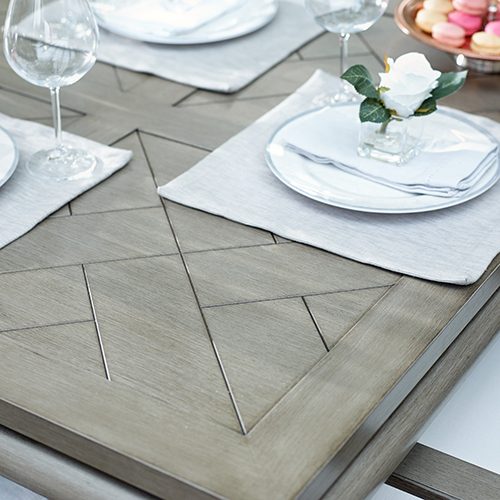 The Sienna pairs perfectly with a number of table options from the Elizabeth Dining Collection to provide a wide variety of pairing choices for your backyard retreat.